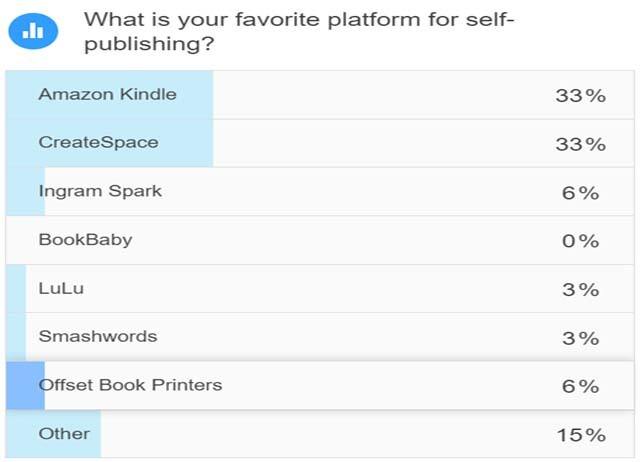 Here are the results of the Self-Publishing Survey I posted a little over two weeks ago. 33 writers and self-publishers answered the survey. 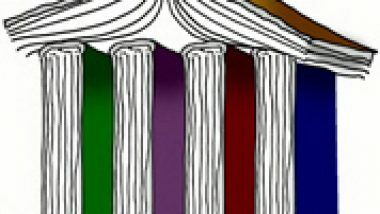 Question 1: How many books have you written? Question 2: How many books or ebooks have you self-published? Question 3: How many total copies have you sold of your self-published books and ebooks? Note: Two out of three respondents have sold fewer than 1,000 copies of their self-published ebooks and books. Two out of 33 respondents have sold more than 200,000 copies of their self-published books and ebooks. 2 out of 3 respondents have sold fewer than 1,000 copies of their self-published ebooks and books. Question 4: What is your main challenge in self-publishing books? Question 5: What is your favorite self-publishing platform? I would be interested in knowing what other self-publishing platform that the five respondents would name as their favorite. Can you answer this question in the comments below: Do you have a favorite self-publishing platform that I did not list among the top seven? Question 6: What social media platform is responsible for the most sales for your self-published books? Ah, I forgot to list Twitter. I wonder if that’s the social media platform that is working for the other 39%. Does Twitter work well for you as a self-published author? 45% of self-publishers get their most book sales from Facebook, 39% from Twitter. Again, finally, can you answer this question in the comments below: Do you have a favorite self-publishing platform that I did not list among the top seven?